Excellent location with great views over the active waterhole below - not much can touch the experience of relaxing in a swinging chair or even enjoying an outdoor shower on your private deck whilst simultaneously taking in the views of the animals coming in to drink! 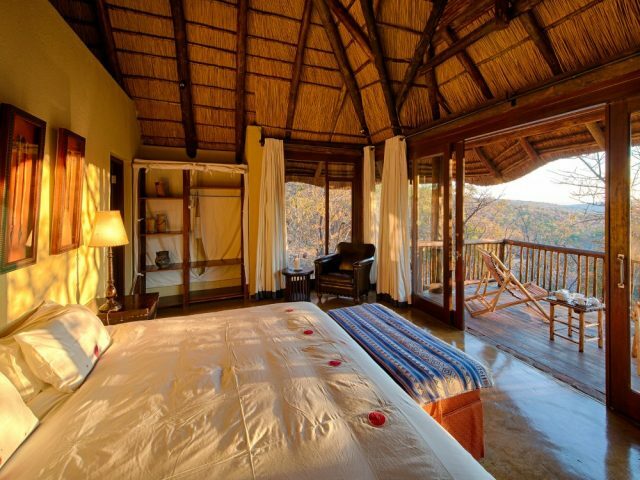 The Nambiti Reserve has quickly become one of our biggest sellers and it’s not hard to see why – for one it’s easily accessible from both Johannesburg and Durban; game viewing is reliably good, the scenery very attractive and there’s a wide choice of reasonably priced lodges to choose from. So what makes Elephant Rock a decent choice? Well for us what really stands out about the lodge is that it is one of the smallest on the reserve – with just 5 rooms accommodating a maximum of 10 people, Elephant Rock excels at offering the type of truly personal service and warm hospitality that other larger lodges struggle to. It really does make for a “home from home” type atmosphere and this is ultimately reflected in the feedback of guests who almost invariably rave about Elephant Rock and particularly its friendly staff! 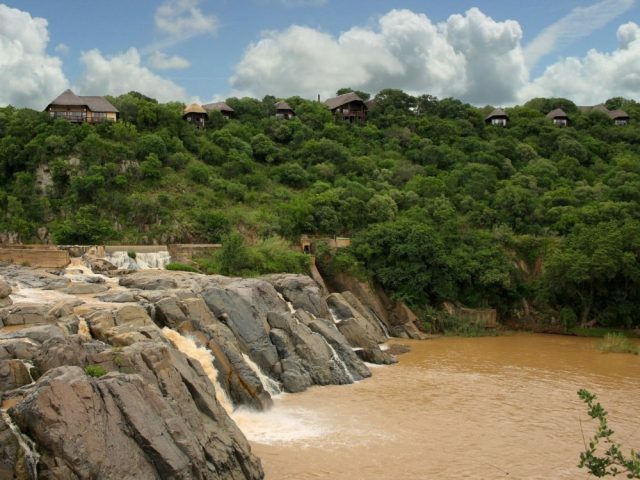 One of the lodge’s other main selling points is that it boasts a great position on a hillside overlooking an active waterhole below. Sure, it would be great if the waterhole was even closer, but whether you sit on the lodge’s comfortable main deck or in one of the hanging chairs on your room’s private deck, you’ll enjoy lovely views of the animals coming through to slake their thirst at the waterhole. 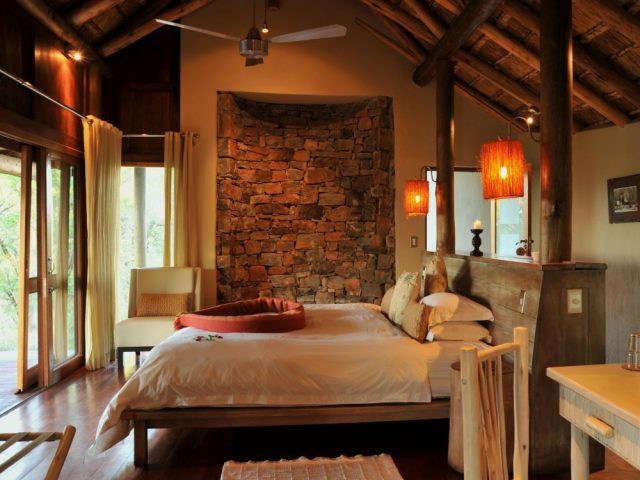 There are definitely more stylish and luxurious lodges in Nambiti, but Elephant Rock offers 5 comfortable air-conditioned rooms (including a family unit consisting of 2 interleading rooms) made from local stone and with traditional thatched roofs. 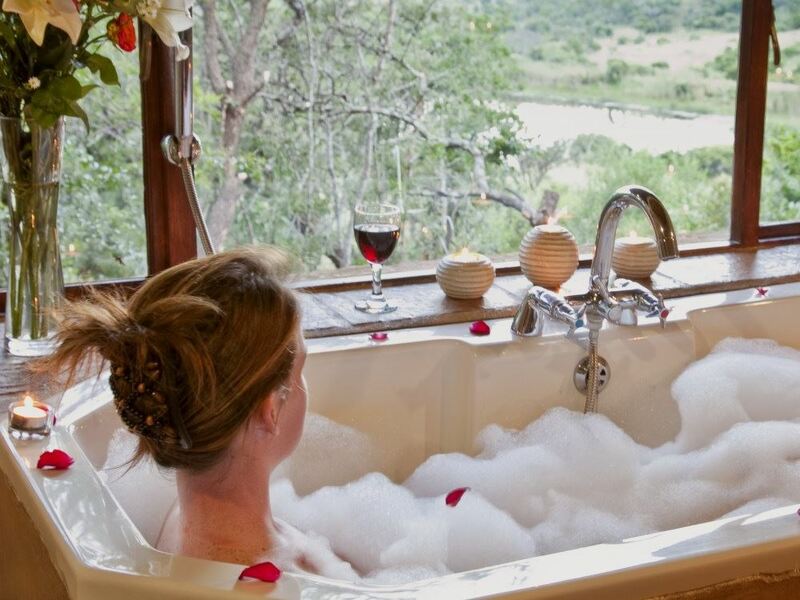 A highlight has to be the spacious bathrooms with their indoor and twin outdoor showers as well as a bath overlooking the waterhole. A small veranda area with twin hanging chairs is a comfortable spot to while away the hours with a good book whilst casting an occasional glance at what new arrivals have made their way to the waterhole. The Nambiti reserve can get pretty boiling in summer which will no doubt have you making a bee-line for the small plunge pool which has been sculpted into the hillside to resemble a natural rock pool. The adjacent deck is the perfect place to chill on a lounger with an ice-cold drink and to keep an eye on proceedings at the waterhole. Close by lies a small fire-pit boma area – perfect for relaxing under the stars and reliving the day’s game viewing excitement with fellow guests. One of the most common bits of feedback from satisfied Elephant Rock guests is that the meals are truly superb and accompanied by excellent service. With a staff ratio of one staff member per guest, you’re ensured phenomenal service and personalised attention to detail! Mouth-watering meals are prepared by the in-house chef and a variety of dining experiences and locations are offered – you may find yourself enjoying a sumptuous dinner next to the fire in the main lodge on a cold night, a traditional meal complete with roaring fire in the boma, or a meal under the stars on the magnificent deck overlooking the waterhole! With just 10 guests meals are often served at a communal table which allows you to cement the friendships built up on the game drives and those pre-dinner drinks at the bar. 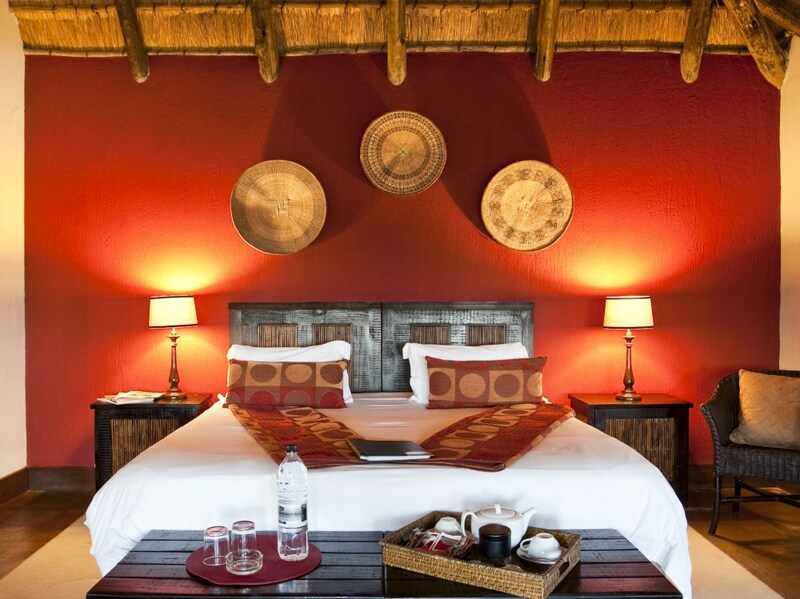 No wonder guests return happy from Elephant Rock: take excellent game viewing, lovely varied landscapes, comfortable rooms, exquisite cuisine and high standards of personal service - all at exceptional value for money – and it adds up to a winning combination!